Join Phytology Ecologist, Olly Edmonds for our final bat box install of the season at the Hollybush Estate, Bethnal Green. Help build, paint & install bat boxes around this great East London housing estate. 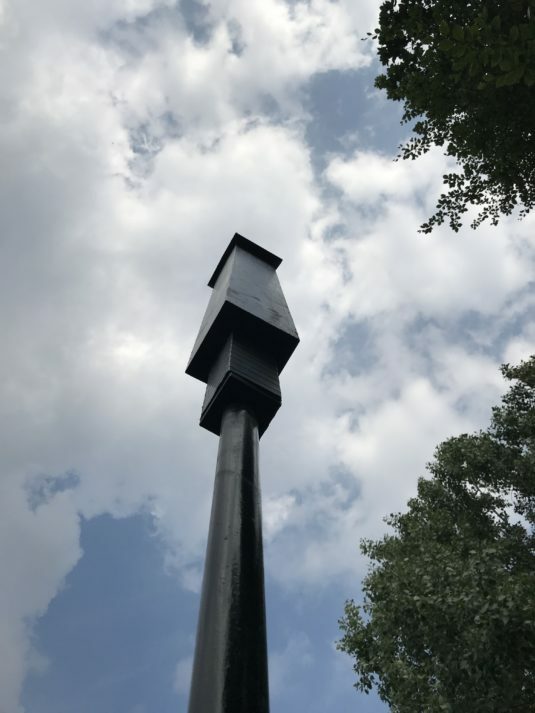 We will also be installing one of our famous ‘rocket’ bat box towers! Olly will lead a walking tour of the area, pointing out the various habitat opportunities and giving insights into how local residents can best support bats and wider biodiversity within the inner city. Come along to find out more about London bats, their ecology, the threats they face, and how we can help them! Meet at Rocky Park, off Ellsworth St, Hollybush Estate, Bethnal Green E2 0AU. Suitable for children from 4 years and up. All materials and equipment will be provided. Please bring clothes that can get muddy, good footwear and gloves.